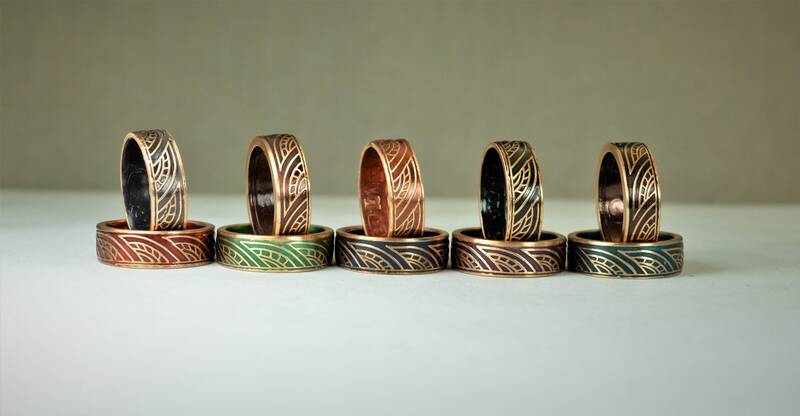 These rings are handcrafted using a bronze Thai One Satang Coin. 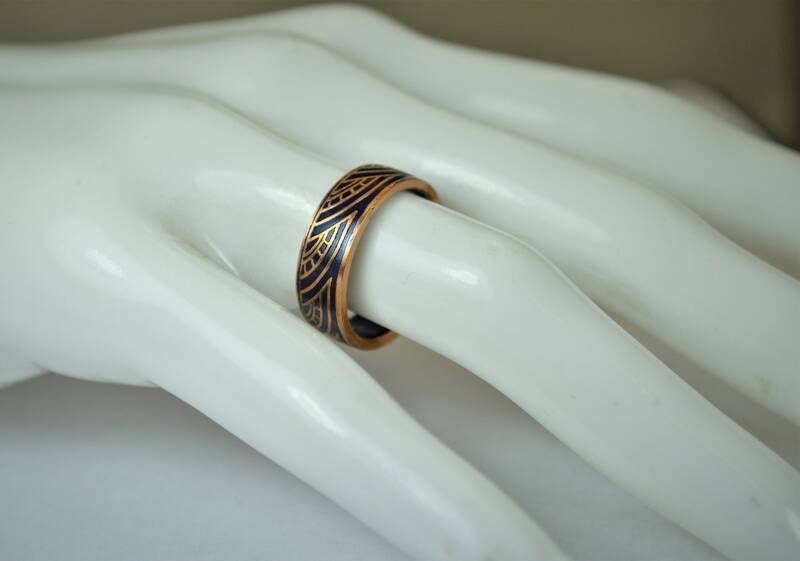 Issued from 1908 -1937 they feature a beautiful ray or wave design that will be on the outside of the ring. 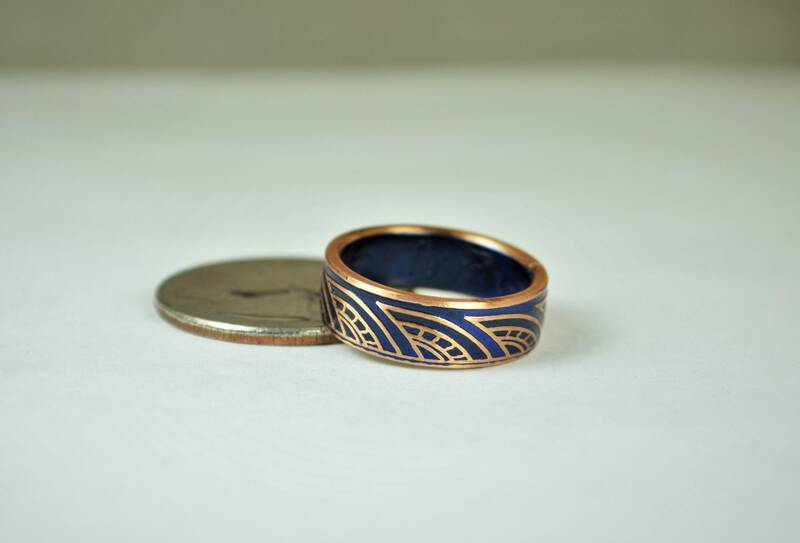 The inside of the ring features the date and the words: สยาม ๑ สตางค์. (1 satang) There is also a bit of stylised snake design. 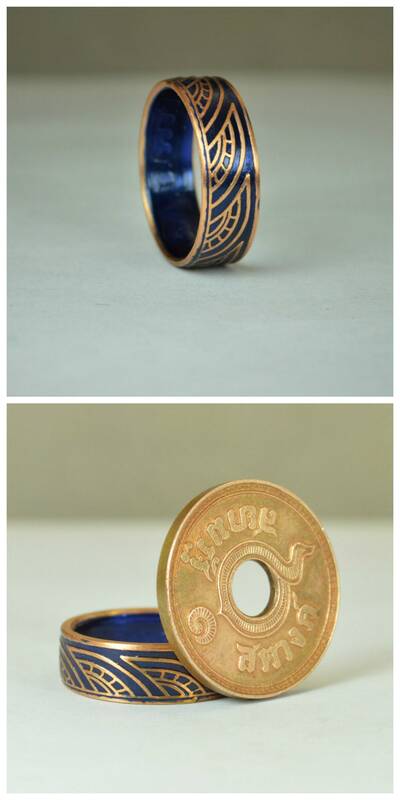 You can see the coin these are made from in the first photo.